lands, or take the Skyride aerial tramway to the top of Grouse Mountain for a touch of skiing or snowshoeing. 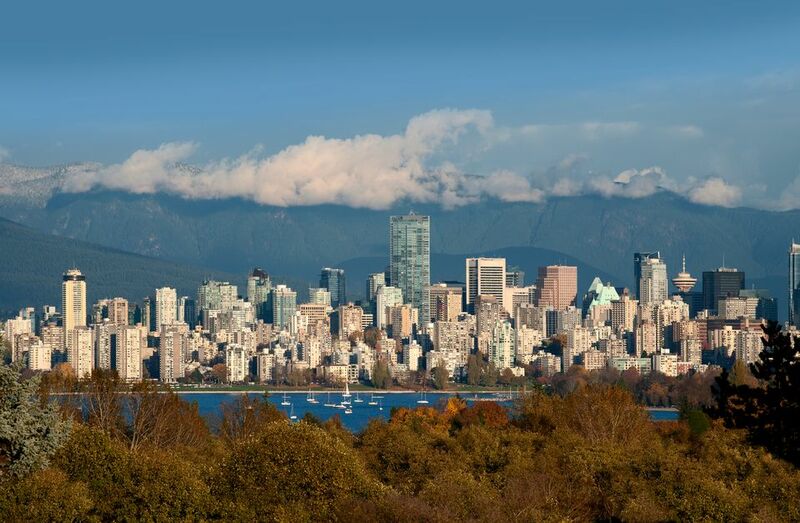 While the city is one of the youngest major cities in the world, Vancouver has been ranked one of the best cities to live in. For a taste of old Vancouver stroll around Gastown, where old buildings house new fashion and design stores as well as upscale eateries. Food is an obsession in Vancouver and restaurants are as diverse as they come in Canada. Vancouver’s vibrant Chinatown (second only to San Francisco in size) is a great place to hang out and grab some of the world’s best dim sum. Downtown hotels can be as expensive as they are elegant, but with an efficient bus system, neighborhood B&Bs are a cozy option. Family vacation stop over. Our group of 20 just finished an Alaskan Cruise and spent five days here and it was worth it. The food, activities and the beautiful scenery, I just wish we had more time. This city is freaking amazing, I don't know where to begin. Depending on how the 2016 elections go I may just move here. 3) Spend the extra cash to get a high rise Airbnb with a view. You won't regret it. 6) In the summer they do yoga at sunset at Kitsilano Beach. Go. You're gonna love your stay. Only downside is that there are no ride sharing services that I am aware of (Lyft, Uber, etc). Amazing city with so much to do. Great parks, museums, shopping and nightlife it's no surprise as to why this city constantly tops world league tables. Be sure to visit Stanley Park and Fly Over Canada. Hard not to fall in love with Vancouver with the visual beauty of the ocean and the mountains in the backdrop. The city is small enough and accessible enough to make getting around a breeze. And the year round temperate climate beats most of freezing Canada. Vancouver seems more Americanized than other major Canadian cities, not sure if that's good or bad. There is a bit of a feeling of a ghost town at times as I hear that a lot of the apartments are owned by absent Asian owners. My favorite Canadian city by far over Montreal, Quebec City, Ottawa, and Saskatoon. The diversity and quality of food is top notch too. Beautiful city. Clean, modern and cosmopolitan but also great for families. Lots of shops and restaurants and places to explore. Granville Island and Yaletown were my favorites places to visit. Vancover is such a beautiful city. Lots of good food, especially seafood! Chinatown is nice too! Vancouver is a fantastic city. It's diverse population means you'll be able to find whatever it is you may be looking for.